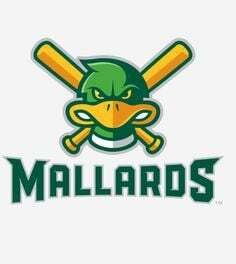 Justice Bigbie sent a fly ball to right field with one out in the bottom of the 11th inning to score Jake Randa and the Madison Mallards pulled out an 8-7 victory over the Kenosha Kingfish in a Northwoods League amateur baseball game Saturday night at Warner Park. The Mallards (45-20, 17-12 second half), who tied the game at 7 with three runs in the fifth, won after Randa opened the 11th with a single off Kingfish reliever Alex McIntosh. David Vinsky sent him to third with a double. Drew Ober struck out before Bigbie delivered the winning fly ball to sink the Kingfish (34-31, 21-10). Kenosha scored twice in the first off Mallards starter Cole O’Connor, who allowed just two hits and a walk in four innings. The Mallards responded with four runs in the second inning. Cam Cratic had an RBI single and Randa knocked in two with a single before Trevor Schwecke scored on an error. Kenosha rallied with five runs in the fifth off Carson Ragsdale to take a 7-4 lead. Randa hit a home run, Nick Gile had an RBI single and Jesse Forestell added an RBI double to tie the score. Alex Reyes, Leon Hunter and Trace Norkus held Kenosha scoreless the rest of the way. E — Yalowitz, Madej, Carter, Cuddie, Kueber, Schwecke, Gile. LOB — Kenosha 8, Madison 11. 2B — Vinsky, Forestell. HR — Doyle, Randa. SB — Debrule, Ortiz, Schwecke, Randa. CS — Kueber. WP — Reyes. T — 4:09; Att. — 6,401.